I have started postdoctoral fellow position at Department of Computer Science, University of Chicago, with Assistant Professor Pedro Lopes. Attended Forbes CEO Conference 2018 held in Tokyo on Nov. 26th, 2018. I have received my 3rd University President Award on May 18, 2017. 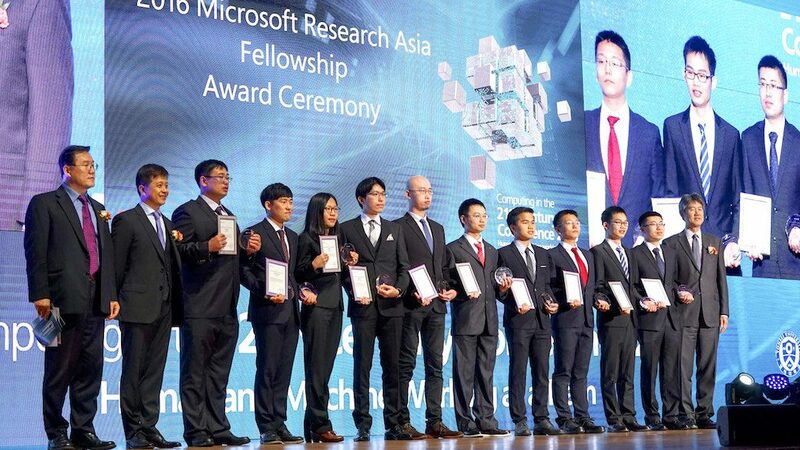 I received Microsoft Research Asia PhD Fellowship Award 2016 in Seoul, Korea. 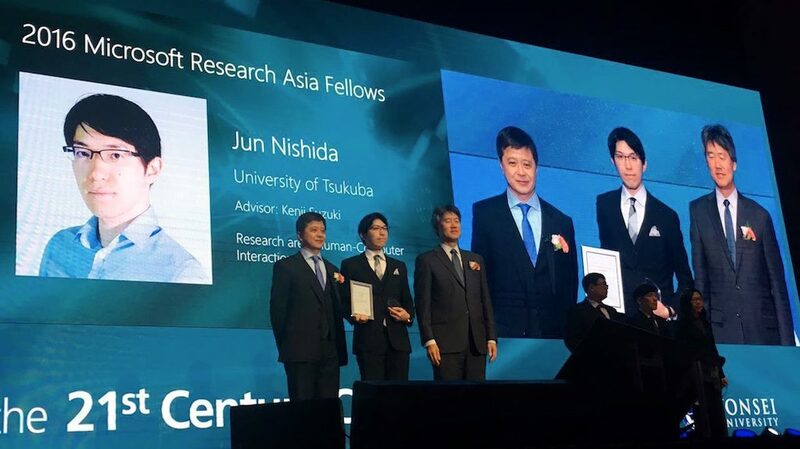 It is great honor to be a PhD fellow of Microsoft Research Asia ! I continue the study on augmenting social and embodied experiences among people by wearable devices for achieving novel interactions and medical assistance.